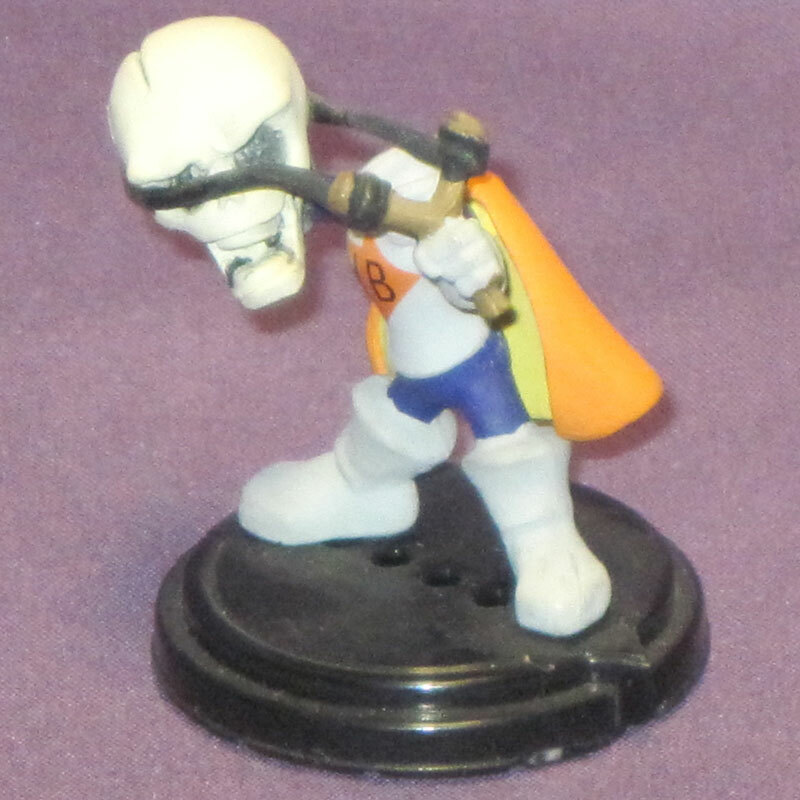 This self-destructive hero has removed his own head to use as a weapon to save the day. He is just under 1.5" tall and stands on a 1.25" diameter base. Part of the limited-edition Creepie series, this self-destructive super hero is recommended as a sandtray / sandplay miniature. Freestanding.